The Samsung Galaxy S8+ is one of the best flagship phones today while the OPPO F3 Plus is one of the best Upper mid tier phones in the market out today in 2017. 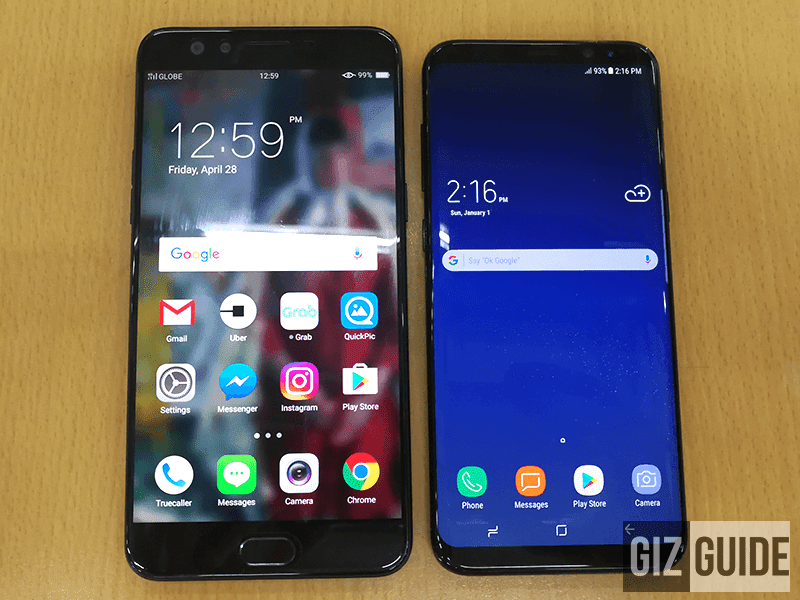 OPPO F3 Plus or Samsung Galaxy S8+? 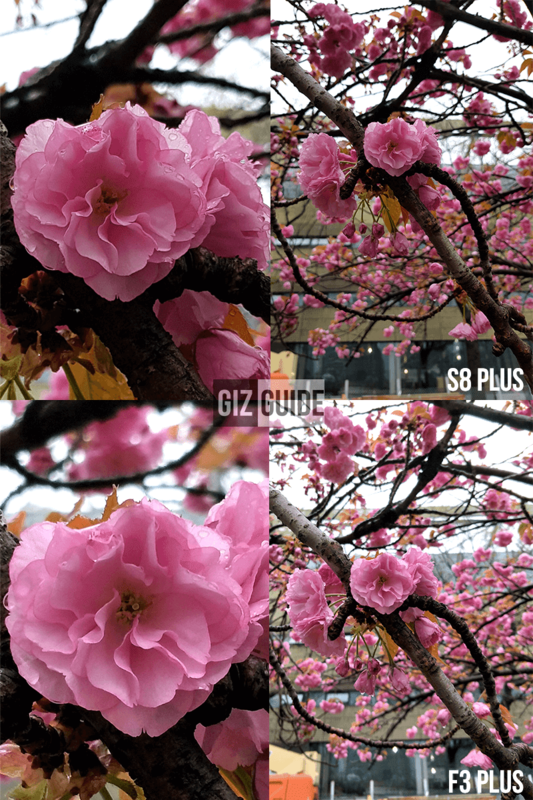 Making a camera comparison between two different price point may seem unfair (even if both phones are equipped with f/1.7 aperture lenses, the largest maximum aperture in any smartphone today), but that is the point. 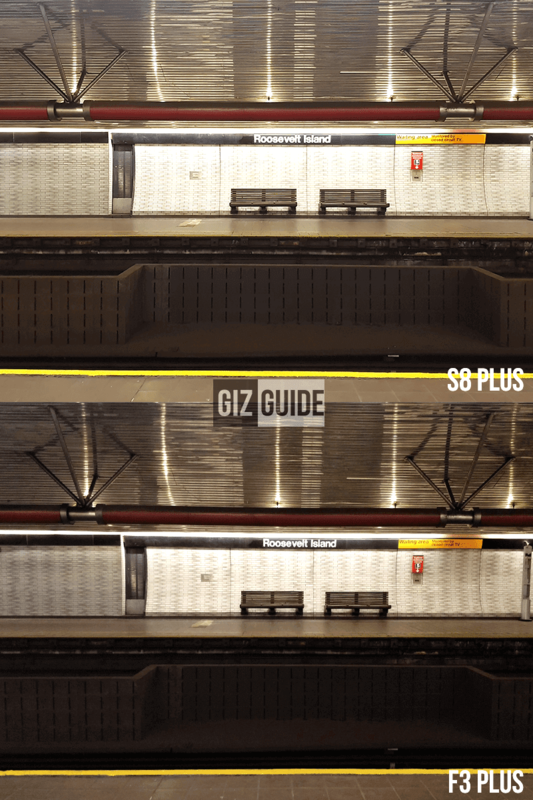 We want to find out if the extra premium we pay is justified by better overall camera performance. That is why we are doing this article. Let's get started! In this scene, we were inside a Brooklyn Ramen shop where there were very little lighting except for the large front door window which was several meters away from our table. Both cameras compensated by over exposing the shots. These are brighter than how we remember the Ramen place was at the time. They both blew up the highlights but the samsung may have compensated a little too much. 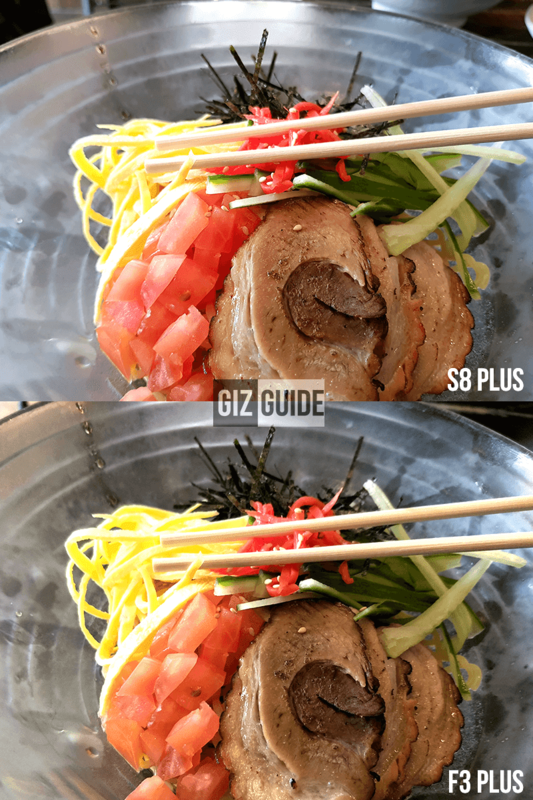 In terms of detail/sharpness, Samsung wins by quite a margin. We also like the colors of the Samsung more for this test. In terms of macro distance, they both can focus really close at more or less at 6 inches from each respective cameras. It is only because of the wider field of view and shorter focal length of the OPPO that gives the illusion that the subject is farther away which is not so good for macro photography because you really want to be up close. Both Phones compensated by increasing the ISO and slowing down the shutter speed. This resulted in increased prominence of grain and increased susceptibility to motion blur which both resulted in loss of detail. The image resulted in a brighter image but at the loss of detail. 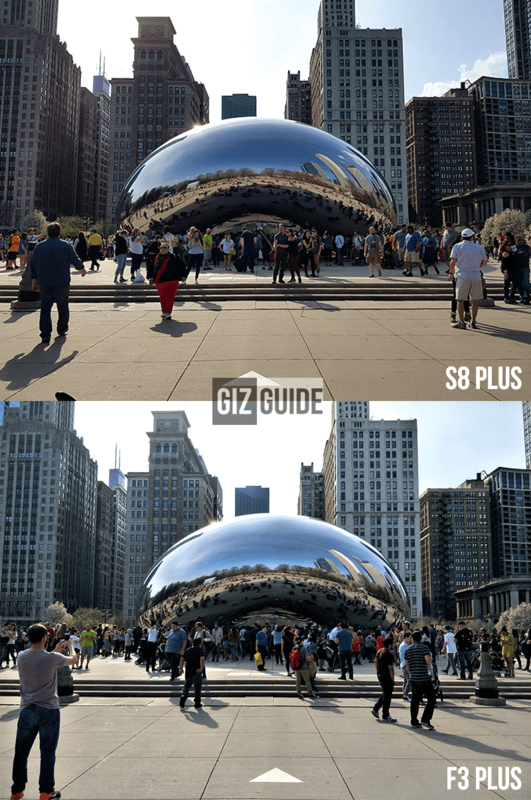 But like in scene 3, the Samsung may have compensated a little too much that it overexposed the image a little more than the OPPO but surprisingly the S8+ retains more detail than the OPPO which is interesting. As much as we love the image quality of the OPPO F3 Plus for its price point, it is clear that yes, more money means superior image quality in almost all cases. The F3 Plus stood its ground and managed to be better in terms of field of view and low light exposure compensation in auto mode. Otherwise, the Samsung Galaxy S8+ is superior in every other aspect like resolution, autofocus, color reproduction, saturation, contrast and etc. But DO NOT let this hard comparison deter you from looking at OPPO especially if you are managing your spending. We love both phones and we hope we answered the question of does more money spent mean better smartphone pictures?